The development is discontinued. 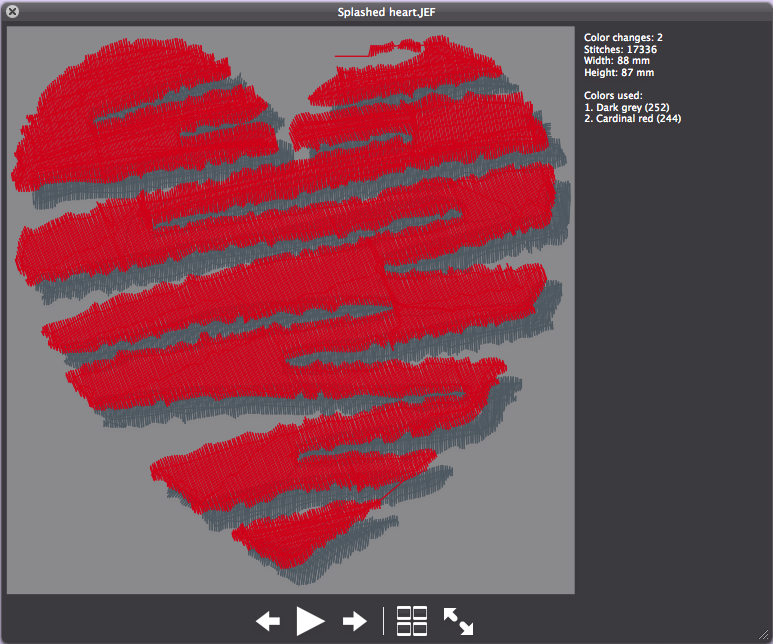 Although the plugin is still available for download, please use StitchBuddy-QL to preview embroidery files on your Mac. Janome Embroidery Machines (e. g. the MC350E) use a proprietary file format for patterns: „Janome Embroidery Format“ (sample files from Janome). Most machines are able to preview these files, but sometimes you want to check them directly at your computer without the hassle of transfering. 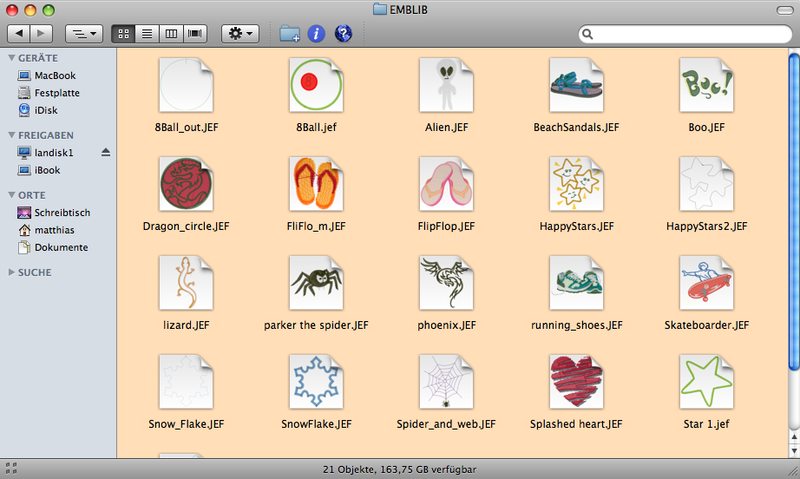 JEFview previews JEF files directly on your Mac! As a Quick Look plugin it integrates seamlessly into the Finder‘s Cover Flow, Spotlight and every Quick Look enabled application like Apple‘s Mail. Owners of a Brother / Babylock / Bernina embroidery machine may download the comparable plugin „PESviewQL“. •Download the current version of JEFview. •Copy „JEFview.qlgenerator“ into /Library/QuickLook (for all users) or ~/Library/QuickLook (for the current user only). It may be necessary to create these folders first and logoff / logon after the copying. •Now you can browse with the Finder to your JEF files and preview them with Cover Flow. •You can install and use JEFview free of charge. •You may redistribute JEFview as long as the original disk image is not modified and you do not charge anything for the distribution. •These terms may be subject to change at anytime.